Apple Carrot Snack Bars are great for snacks (duh!) but also make an easy breakfast. 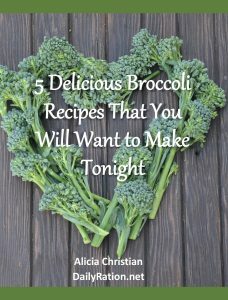 I often make them the night before and either serve them with a protein or fruit for a quick breakfast. Bonus- these bars are healthy! They’re made with oats, fruits, veggies, honey, nut butter, and spices. Did I mention they freeze well? Just wrap them individually and keep them in a ziptop bag. Thaw them out on the counter overnight and you’re ready to go. Being somewhat of a dump recipe, they’re pretty easy to make and not at all time-consuming. You just dump all the ingredients together and press them into a pan to bake. Voila! This recipe is also a great way to use carrots and apples that are just past their prime but not yet bad. You know, that produce that’s not completely firm but still has life…that’s the stuff baked goods are made of. 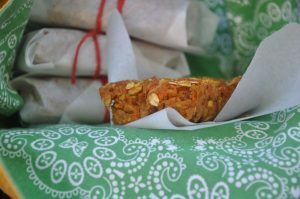 These Apple Carrot Snack Bars are made with healthy, all natural ingredients and easily come together in just a couple easy steps. Sweet, satisfying, and full of fiber and protein. Preheat the oven to 350. Grease a 9x9 baking dish. Combine all ingredients in a bowl and mix well. Place mixture in a greased 9x9 baking dish and press down slightly and evenly. Bake for about 20 minutes. When the edges are just starting to brown they are ready. Cool completely before cutting. You can use cookie cutters to make fun shapes if you like, but I normall cut into 8 bars. These freeze well. Wrap bars individually and tightly in freezer paper or plastic wrap, then store in a zip top bag. Thaw at room temperature.